What Is Respite Care and Is It Right for My Loved One? “How are you doing?” That’s a question caregivers are asked all too infrequently. While it’s a simple question to ask, people often focus on the one receiving care, not the one giving it. Yet caregivers’ well-being is as important as those they’re caring for. It’s similar to flight attendants’ caution to “put on your own oxygen mask first, before helping others.” Often it falls to caregivers themselves to take steps to prevent their own burnout. That’s where respite care can help. Simply put, respite care provides some “time off” for the caregiver — a much needed “respite” from some of their responsibilities. Depending on individual circumstances, the type of respite care can vary. A common form of respite care for in-home caregivers is when their loved one moves into a senior living community or health care center for a certain period of time. That could be for a few days, a week, or even longer if the caregiver needs to take a vacation and recharge. Assisted living communities typically charge daily fees for respite care and offer the same kinds of services and activities that their permanent residents enjoy. If shorter or periodic breaks are needed, adult day services or home nursing services may be perfect options. 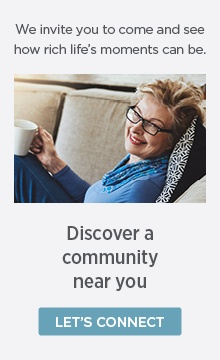 Adult day services are often located in senior living communities. Home care providers also offer respite services for shorter periods of time, which can include occasional half- or full-day care, a week at a time, or custom services based on the caregiver’s needs. Jennifer, executive director of Able Care Connect Home Health, says, "Having someone come in two times a week, like on Tuesdays and Thursdays, is a common choice." This generally provides caregivers enough time to regroup, take care of their own personal needs, and relax. When is Respite Care the Best Choice? Every situation is unique, but in all cases, it’s important to consider the best interest of the entire family — caregivers as well as those being cared for. Here are some of the most common situations where respite care may well be the best option. Your loved one may need help at home with daily activities like bathing, dressing, cooking, or even household tasks like vacuuming, laundry, or grocery shopping. But when you can’t be there due to work commitments, family responsibilities, or a much-needed vacation, in-home respite care services can provide the support your loved one needs as well as the peace of mind you deserve. Sometimes in-home respite care may not be enough to cover all of your loved one’s needs. Or it may be that your loved one’s quality of life would be enhanced by having more social contact. These are both situations where senior day care can be a perfect solution. Day care programs vary, but many provide some medical assistance, such as medication management or moderate exercise programs. They all provide activities and social interactions as well as reassurance for you, knowing your loved one is well cared for when you can’t be there. 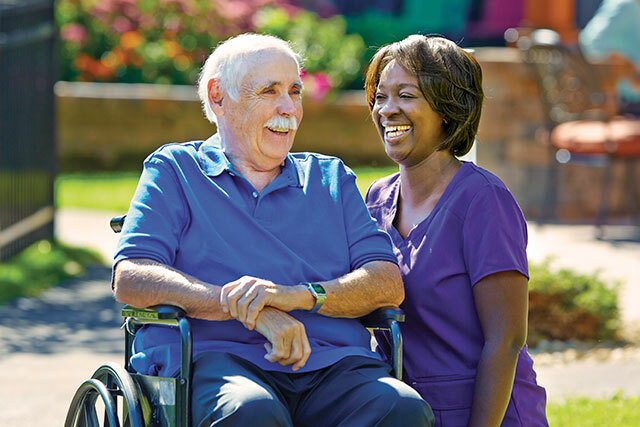 If your loved one is recovering from an illness, injury, or surgery, he or she may have additional care needs. Especially if those needs are more demanding or complex than you’re used to, it may well be an appropriate time for your loved one to receive professional care. The options are varied and include care in a rehabilitation center, at an adult day care, or in a senior living community that offers medical support. The end of life is a time when specialized services may be required. A broad range of services includes palliative care and faith-based support. These respite services can be provided at home or at a senior living community. Rest and Relaxation: Take time to enjoy the things that you find relaxing. Perhaps that means taking a walk, visiting a museum, or leaving town. These simple activities can help calm your body, lower heart rate and blood pressure, and improve your overall mood. Doing so will mean you’ll return to caregiving responsibilities feeling refreshed and renewed. Energy: Part of the reason to rest and renew is to recharge your battery. In general, a person can’t be effective running on empty. Space: Just taking a break from the physical space where you provide care can help you see challenges in a new light — even as new opportunities. It may not take very long, either. A few hours — sometimes even a few minutes — can help. Get outside, visit a friend, or plan a weekend getaway. Pleasure: Sometimes caregivers can forget that they need to enjoy life on their own terms. Treat yourself to a massage, dinner with a friend, or some personal shopping. Identity: It’s important not to get lost in your role as caregiver. You’re more than a caregiver, and you have a right — even a responsibility — to celebrate all the parts of your own life that bring you joy and comfort. Time: The time you spend away from caregiving responsibilities may help you see things differently and identify creative ways to handle daily challenges. Time away will help you develop a new perspective. Whatever circumstances you and your loved one are facing, it’s important to remember that respite care is about both of you and that respecting your own needs is as important as respecting those of your loved one.